Looking for something else ? Read our other featured Guides for Free. Start by entering your permanent information like Name, Date of Birth and PAN number. 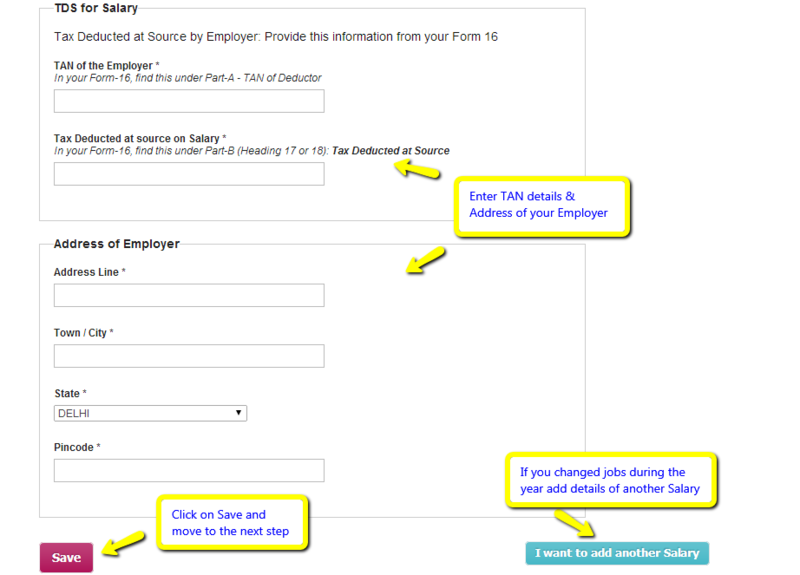 Click on Income Sources and input your income details from Salaries, you can choose to upload your Form 16, so we can populate your information directly. 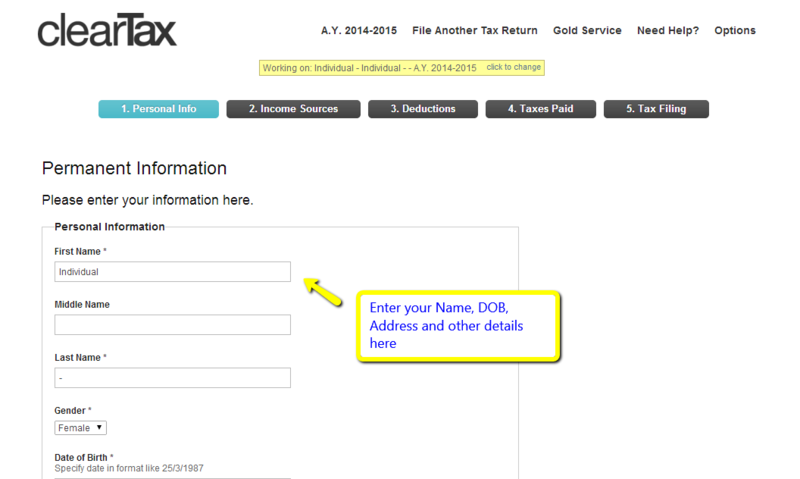 OR enter your taxable salary and details of employer manually. 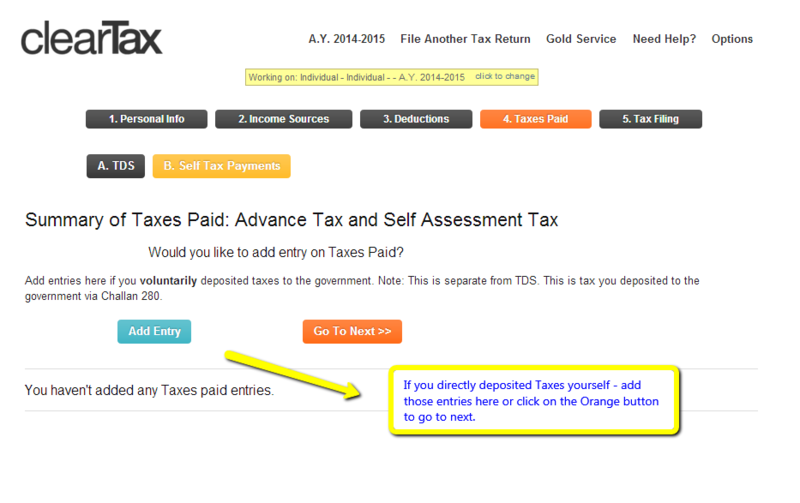 Locate your Taxable income in your Form 16. 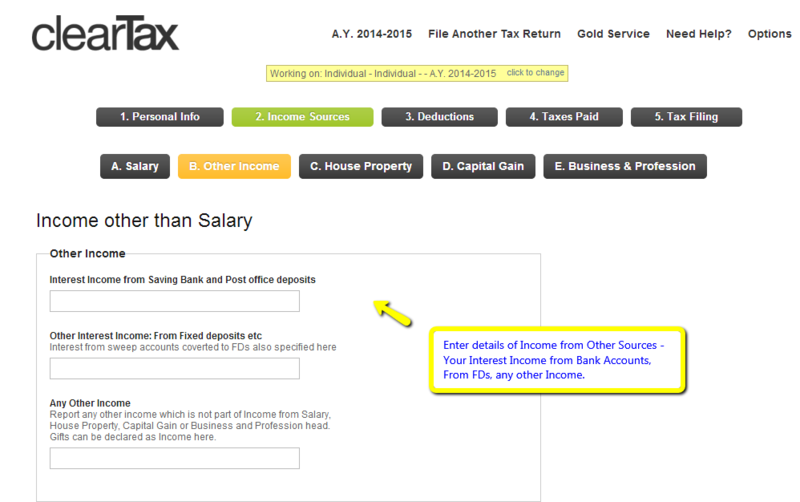 Next, enter your other incomes like Inerest from Bank Accounts, Fixed Deposits, Gifts and others. 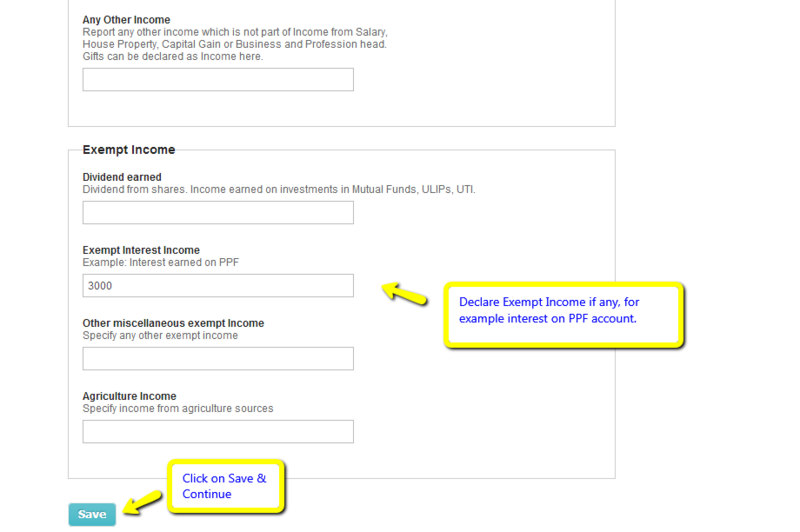 Next, declare the exempt incomes, if any, like Mutual Funds, ULIP's, interest from PPF account and agriculture income. 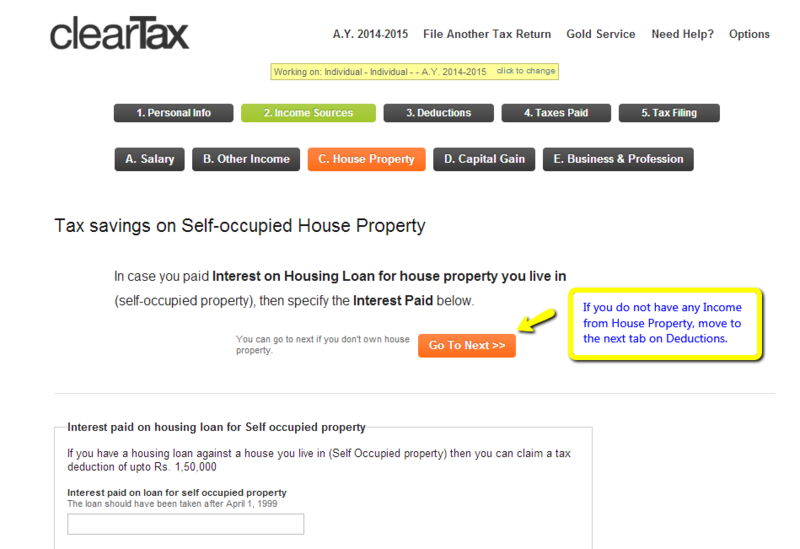 IF NOT click "GOTO NEXT"
Declare all other deductions which are applicable. 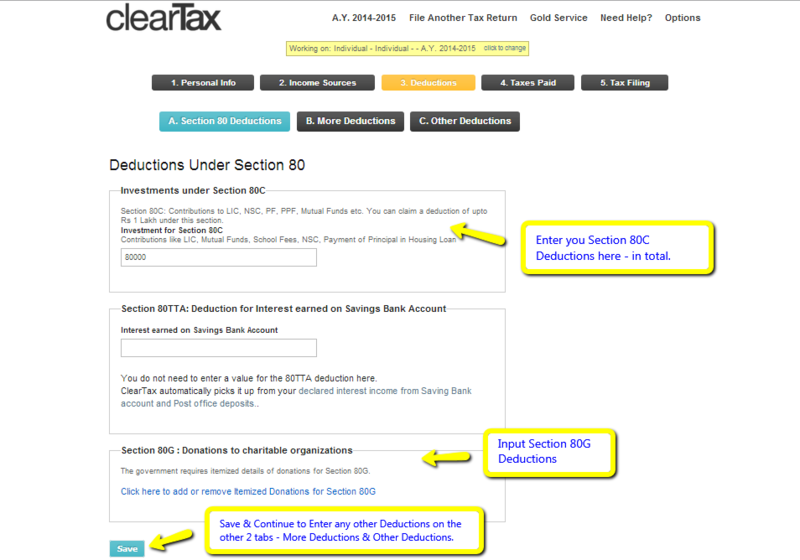 Check out "More Deductions" tab. 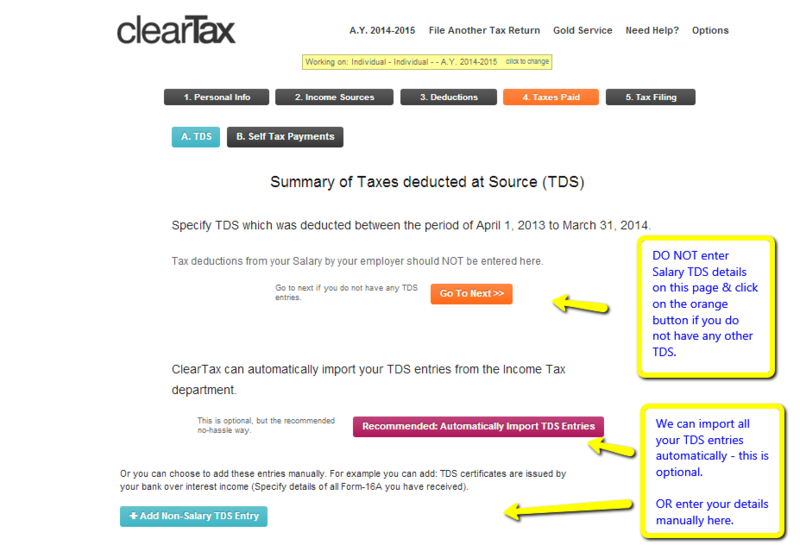 ClearTax can automatically import your TDS entries from Income Tax Department. 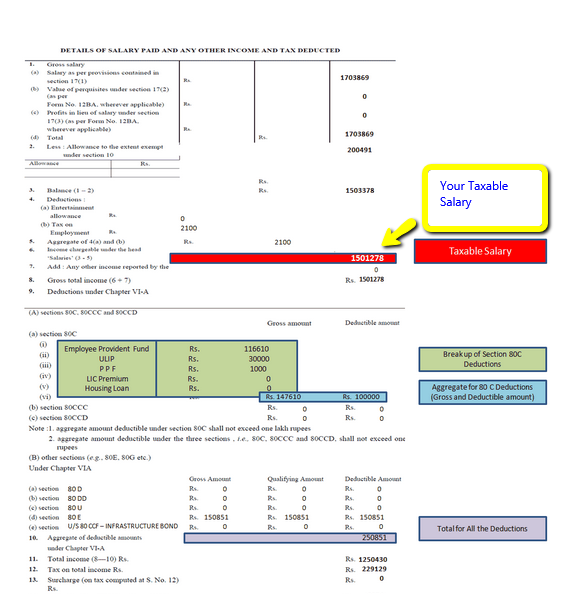 If you deposited tax via Challan 280 (self assesment tax) yourself, add details regarding it. 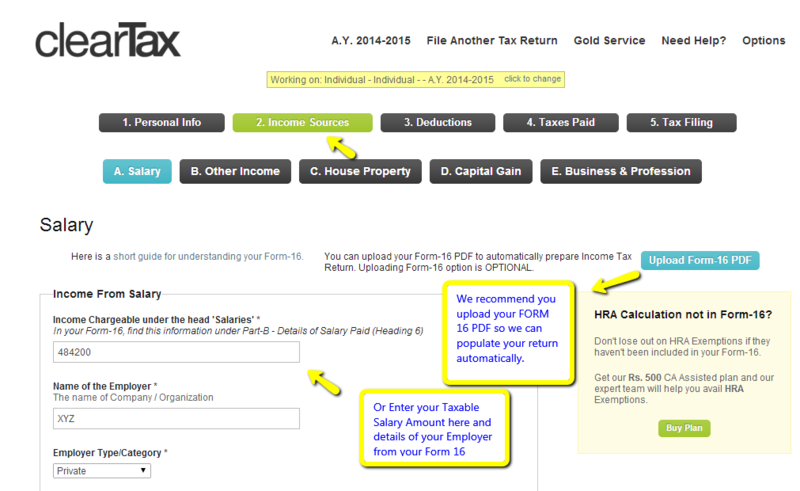 You can review for return by downloading ITR PDF or ClearTax word-report. 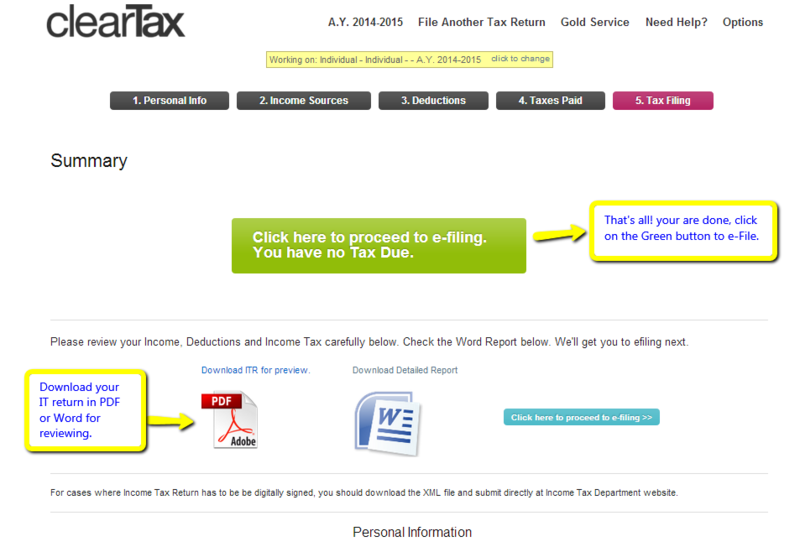 Click on the large green button and your return shall be submited to Income Tax Department.